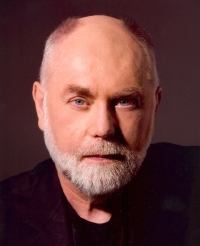 Charater actor Robert David Hall plays quirky coroner, ‘Dr. Albert Robbins’, on the Emmy-nominated CSI: Crime Scene Inve stigation. The CBS show, which is also syndicated internationally, is seen weekly by more than 27 million people in America alone. Hall and his C.S.I. cast mates have also been honored with the Screen Actors Guild’s Actor Award for Outstanding Performance by an Ensemble in a Drama Series. In his 20 +year career, Hall has amassed numerous credits in film and television. His feature film work includes: F. Gary Gray’s The Negotiator, starring Kevin Spacey and Samuel L. Jackson; Paul Verhoeven’s Starship Troopers, starring Casper Van Dien and Denise Richards and Michael Apted’s Class Action, starring Gene Hackman and Laurence Fishburne. In 1978, an 18-wheel truck struck Hall’s car and he was severely burned when his gas tank exploded, leading to the amputation of both legs. Today, he walks comfortably on two prosthetic limbs. It was Hall’s role as a burn survivor in Apted’s Class Action that most closely parallels his real life. Hall’s appearance in Class Action led to television guest-starring roles in West Wing, Brooklyn South, Touched By An Angel, Promised Land, Love and War and Highway to Heaven and recurring roles on L.A. Law, Family Law, The Practice, High Incident and Life Goes On. He also appeared in the role of ‘Samson’ in the TNT Emmy-winning mini-series “Andersonville”, directed by John Frankenheimer. In addition to acting, Hall’s voice can be heard on hundreds of commercials, animated series and narrations. He also has a keen interest in music, playing the guitar and performing with his band. For more than four years, he was the daytime voice and music director of KNX-FM, a legendary CBS alternative music station in Los Angeles.”I’ve been a musician all my life, and it’s always been a dream to record my own songs. Last year with the help of my friend, Texas music legend Chris Wall, I achieved that goal. With the help of some great Austin musicians, I recorded Things They Don’t Teach You in School. I wrote 7 of the songs, including the title track, co-wrote 2 more and had an incredible time putting the album together. A devoted community activist and one of the most prominent disabled actors working today, Hall proudly serves on the Board of Directors of the National Organization on Disability. He completed his term as a National Board Member of the Screen Actors Guild and is National Chairman of the Performers with Disabilities Caucus for SAG, AFTRA and EQUITY. He sits on the boards of The Mark Taper Forum’s “Other Voices Project”, and The Media Access Office. He is a member of the Mutual Amputee Foundation and often visits recent amputees. Hall was honored by California State Leaders for his contributions as one of the Founders of I AM PWD (Inclusion in the Arts & Media of People with Disabilities). In January 2009, The Department of Fair Employment Housing Act (FEHA) celebrated its 50th anniversary by honoring four outstanding individuals who have broken, race, gender, sexual orientation and disability barriers to contribute to California’s rich history in diversity. In spring 2008, he presented New Zealand with the Franklin Delano Roosevelt International Disability Award at the United Nations and in 2005, he was honored to present the same award to King Abdullah II of Jordan. This award is presented to a country for their exemplary efforts to improve the lives of people with disabilities. In demand as a public speaker, Hall spends time addressing a variety of organizations including The Youth Leadership Forum for Students with Disabilities, The Amputee Coalition of America, and the World Burn Congress. This summer he was the keynote speaker at the Vermont Governor’s Summit on the Employment of People with Disabilities. He specifically spoke to needs of young adults with disabilities transitioning into the workplace. In 2007 he was honored with a Lifetime Achievement Award from the American Association of Community Colleges. He received the Ivy Bethune Diversity Trailblazers Award from Screen Actors Guild and The Harold Russell Award from the Media Access Office. This award is presented to actors who serve as role models for other disabled actors.